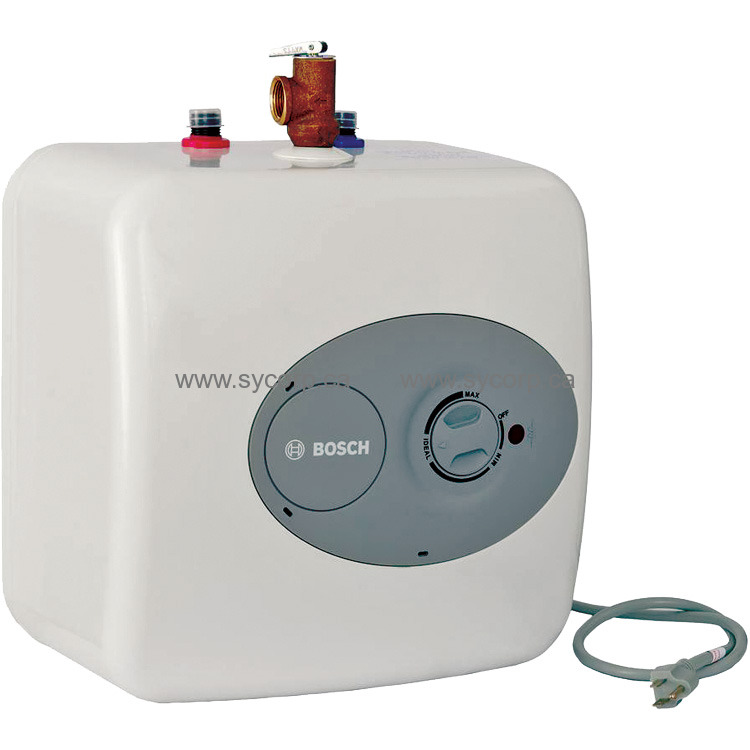 The Bosch 4 Gallon Electric Water Heater has a 4 Gal. mini-tank that fits under your sink to provide hot water right where you need it. The heater plugs right into a 120-Volt outlet and has a lightweight, compact design that's easy to handle and install. A glass-lined tank offers great insulation, while the heater's fast recovery rate eliminates long waits for hot water. A temperature-and-pressure relief valve enhances your safety.